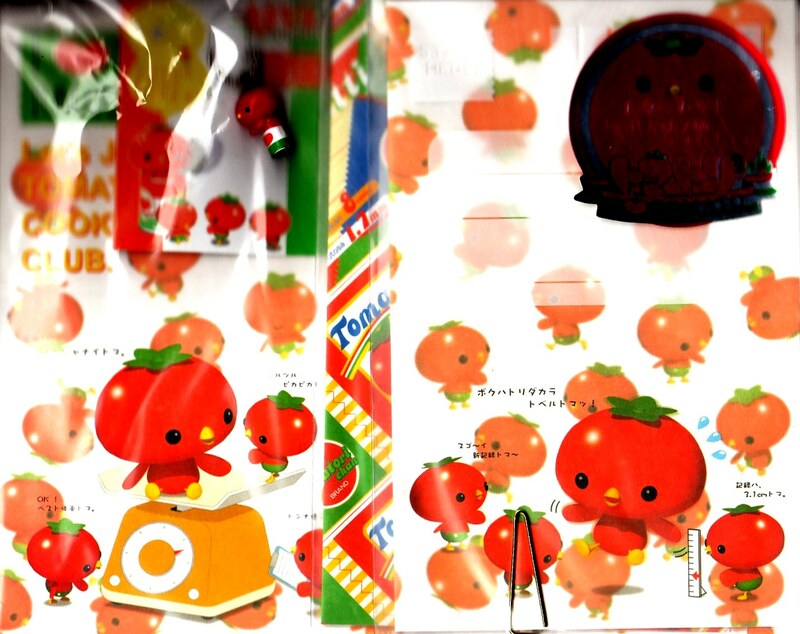 "Tomato" and "tori" form Tomatorichan. His charming points are his wee little beak and round and cute eyes!! 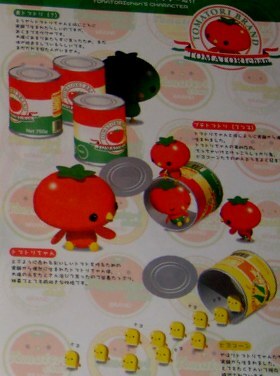 The fun world with his friends which he treats like little bothers such as "Puchitomatori" and "Hiyocorn" unfolds! 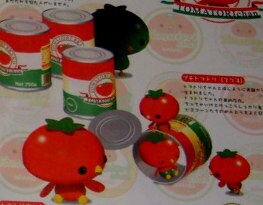 Fashionable Italian color and bright red body are signs! Find them in shops! 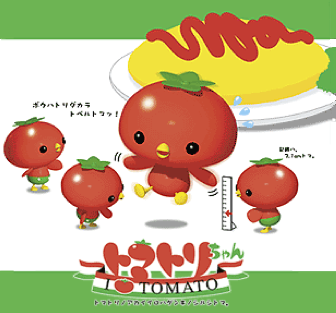 Because of an experiment to make delicious tomatoes be flying off shelves and sold, unexpectedly a bird like a tomato was born! They are Tomatorichan's very close friends being like little brothers. It appears that there are three siblings. There are many of them and now at the present it has been confirmed that there are 27 pieces (animals?). They love corn soup baths. It appears that there was an identical experiment at the time of Tomatorichan's birth, but there is no one who has seen it. 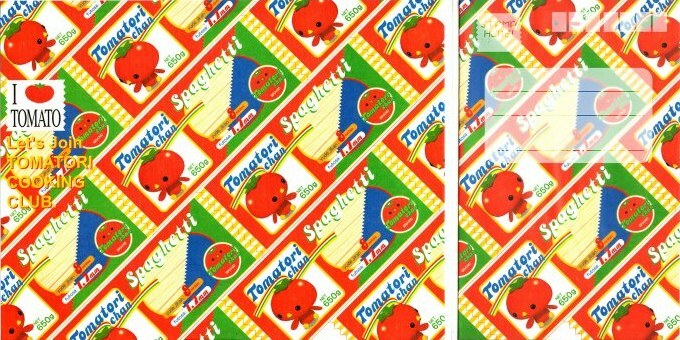 Japanese people love Italian food and the Italian food in Japan is actually quite accurate in taste and price! 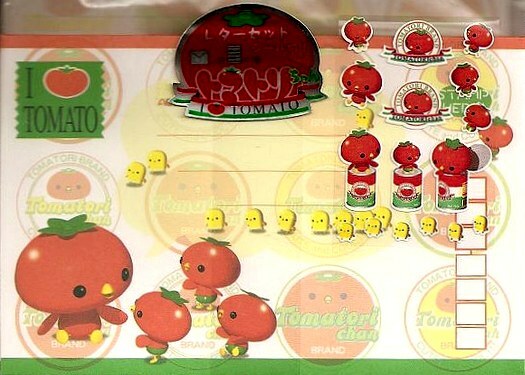 For some reason Tomatorichan reminds me of Saizeyriya... 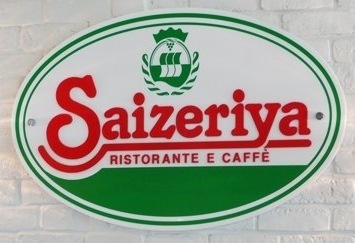 It's a chain restaurant in Japan serving Italian food for around $3! We need this place in the US.... it's pretty healthy, too! 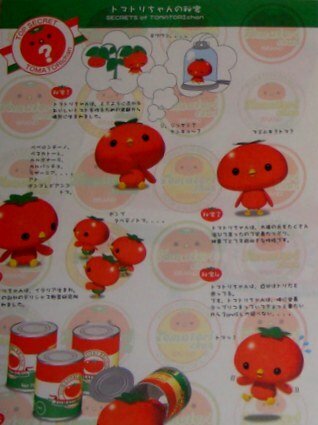 Anyway, back to our new character friend Tomatorichan. Apparently there is a green version which no one has seen! Looks like it's hidden away in some of the memo pads. Cute! 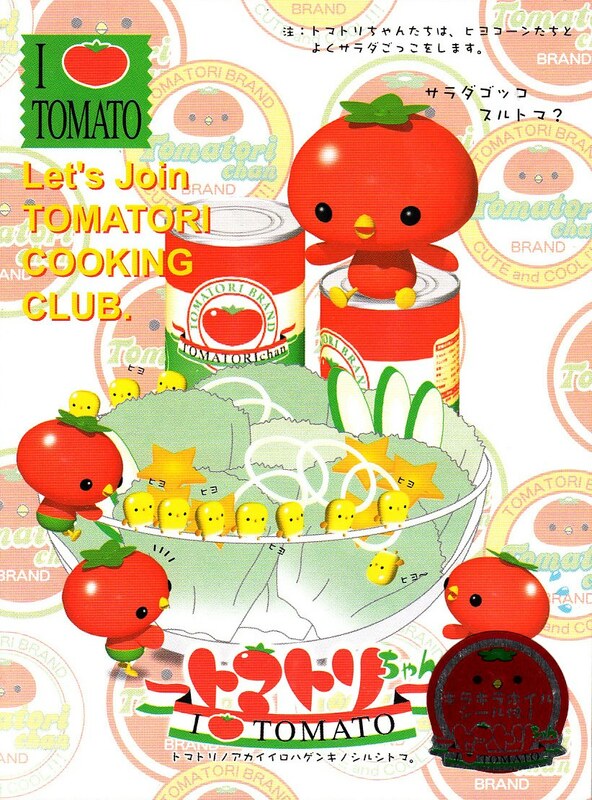 Tomatorichan is often featured with omuraisu (オムライス). 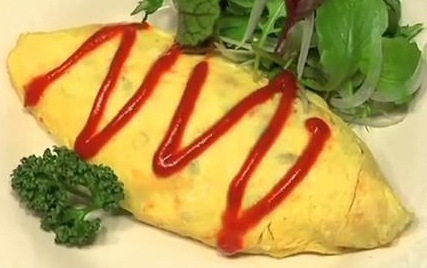 Omuraisu is a popular dish in Japan which consists of an omelette with ketchup rice inside and a squirt of ketchup on top. Omuraisu is garnished with parsley leaves. Read more about Omuraisu here: Omuraisu (aka omurice or omu rice, Japanese rice omelette). 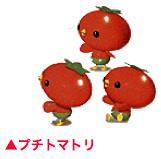 The Puchitomatori brothers like to have fun with the parsley and put it on their head! How cute! 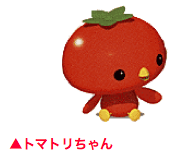 "Tori" means bird in Japanese and the word is combined with "tomato" to form "Tomatori."